Slow Play – What is taking so long? 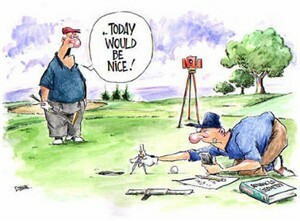 The number one pet peeve of all golfers is slow play. It is a contributing factor to the decline in play numbers and quite possibly the decline in the game. Golfers don’t want to spend their cash on a six hour round. Golf is slow and aggravating enough without adding another one to two hours on top of it. In my opinion, the industry standard four and a half hour round is already crawling. Now some critics claim that the fault lies on the PGA Tour professionals we see on television each weekend. I would somewhat agree with that statement, but I’m willing to give them a pass because they are making a living from it. These guys are grinding over putts that are literally worth thousands of dollars not a five dollar Nassau. I personally don’t care who is responsible for it. I don’t need to hold anyone accountable for what’s already transpired. I do want to be part of the conversation for the solution. You can have all the starters and rangers you want but the people that pay the green fees are ultimately the ones that dictate the pace of play. No, the only way you can improve pace of play is to give the golfing public a refresher course on course etiquette. I’m nominating my fellow PGA professionals, the Jedi of the golfing world, to take the initiative and wipeout slow play for good. I had a radical thought the other day that I would love to share with everyone. The idea came to me when one of my staff was telling me about a group on the course. The group was “two holes behind” the group in front of them but was still “on pace”. Now that statement, “on pace” is reference to that industry standard four and a half hour round at fifteen minutes per hole. I challenge you to go to your home course and time yourself for fifteen minutes on each hole. Start the clock on the tee box, take note when you putt out and then just sit in the cart until the fifteen minutes is up. I guarantee an average of two to four minutes per hole that you will just be sitting in the cart waiting. That’s thirty six to seventy two minutes spent doing absolutely nothing. It sounds maddening, yes? The slow play epidemic can be reversed by making the golfing public aware that it is a serious problem that threatens the game. How do you stop an evil empire? You need an army. We need a legion of people hypersensitive to slow play. We need golfers against slow play, or GASP. I’m not suggesting we turn golf into a race but I think each PGA member can appoint several individuals to be their GASP deputies. Maybe even give them a badge and a hat for completing a slow play class. There are over 27,000 PGA professionals. If each of us created a GASP once a week for a year that would equal 1,404,000 golfers that are trained to be enemies of the slow play nation. Seriously though, how easy would it be to educate a few individuals per club who will in turn educate several more individuals? All we have to do is start that first domino and watch the show. 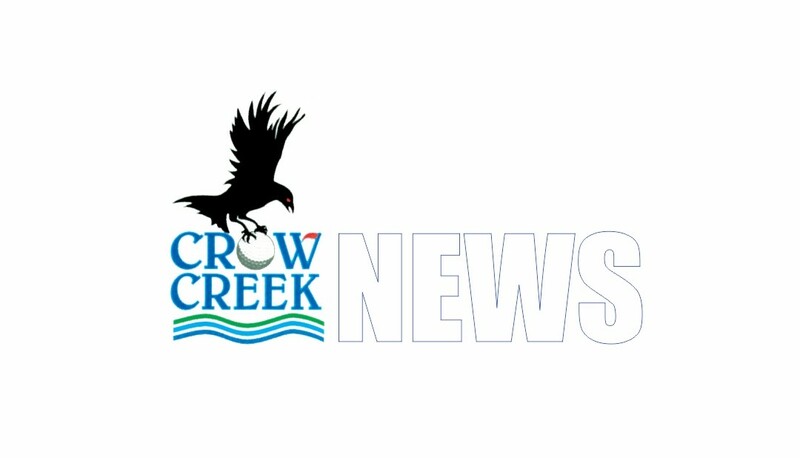 To contact a Crow Creek PGA Professional for help with your game click HERE.